7 Health Benefits of Olive Oil | Eat This! Olive oil is obtained from the crushing and pressing of olives. There are several different grades of olive oil. Extra virgin olive oil is the unrefined oil abstracted from the first pressing of the olives and has the best overall health benefits. Virgin olive oil is also derived from the first pressing, but contains more acidity and less phytonutrient content. “Pure olive oil” is actually a blend of refined and unrefined olive oils and is not as nutrient dense as either extra virgin or virgin olive oil. Olive oil may help prevent cancer because it helps fight oxidative stress and chronic inflammation, two conditions often associated with all types of cancer. The polyphenols in olive oil have been shown to reduce the risk of cancer in the digestive tract as well, reducing the risk of colon and stomach cancers. Recent studies show that olive oil may increase cell membrane function and prevent DNA damage. Olive oil contains a great variety of antioxidants that offer numerous health benefits, including vitamin E and carotenoids. They not only prevent free radical damage and oxidative stress to many different body systems, but also support cardiovascular health and help reduce inflammation. Culinary oils are generally considered to be “added fats” which can lead to unwanted chronic inflammation when consumed in excess. Olive oil is extremely unique because it actually has anti-inflammatory properties. The oil is very high in polyphenols, plant compounds that have shown to help reduce inflammation in a variety of studies. Oxidative stress and chronic inflammation are key contributors to heart disease and other cardiovascular disorders. The polyphenols in olive oil have been shown to protect blood cells from oxidative stress, reduce the risk of chronic inflammation and help balance cholesterol levels. The monounsaturated fats in olive oil can also play a key role in lowering blood pressure and reducing cholesterol. The polyphenols in olive oil help slow the growth of bacteria in the digestive tract. This helps reduce the risk of cancer of the colon and other digestive tract disorders such as stomach ulcers. Lab research with rats has shown that olive oil may help prevent bone loss, promote bone growth and reduce the risk of bone diseases like osteoporosis. A large-scale study in France showed that “intensive use” of olive oil helped improve visual memory and visual fluency in older adults. Lab animal tests also indicate that regular consumption of olive oil helps oxygen flow to the brain and may improve cognitive function. To reap the full health benefits of olive oil, you need to use a high quality oil. Check out The 6 Best Olive Oil Brands before you buy your next bottle of olive oil. 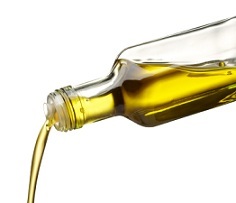 1 Comment on "7 Health Benefits of Olive Oil"
thank you for the article. No wonder all those people who live 90+ years love eating simple food and many of them have their own gardens!